– The very talented EileMonty will be there! Not only will she have a panel to talk about voice-acting and singing, and answer questions from the attendees, she will also perform at the concert scheduled during the BronyDays! 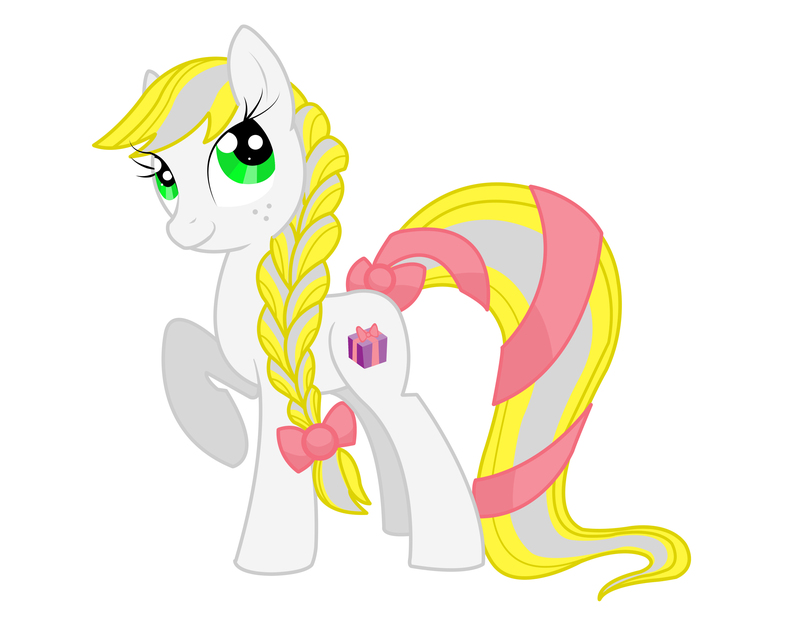 EileMonty is well-known in the community for her roles in some high quality fan animations such as Picture Perfect Pony, and her performance in many awesome songs such as the gorgeous For A United Equestria. On another topic, if you are interested in selling some merchandise or getting a stand at the BronyDays, you can apply now! The vendor files for the convention are available here (bottom of the page). Lastly, don’t forget that the Frenchy tickets are 9% cheaper if you buy them before the 5th of August, so you might want to get them early! Go there to grab them now. Rendezvous in Paris, October 2013! Hello! Sac Brony Expo here with another batch of awesome news! We have some awesome news for you Bronies who are looking forward to our expo! Without further ado, let’s get the ball rolling! 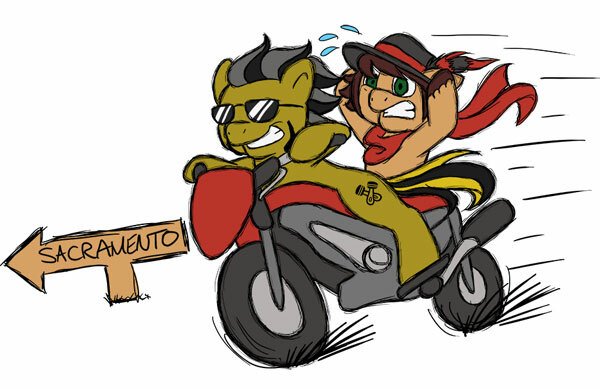 I hope our banner totally didn’t give the surprise away (or the title), but we gladly present DustyKatt, the world’s most manliest Brony. After working on his own show “Stay Brony, My Friends,” where he has interviewed show staff and many others, along with his hand in many charity events, he has gained quite a following in the fandom. We hope that some of his words of manly wisdom will spread over to you all! What’s a cool way for your art to get exposure and to win $50? The answer is “Swift Sketch’s Banner Contest!” We have set up a contest for you artists to show what you can do! Entries are to focus on demonstrating what the Brony community is all about. The winner will receive the aforementioned prize of $50, and they will also have their winning banner posted on our main website! For more rules, make sure to click on the link to our DeviantArt group journal! We’re adding a staff and guest page so you can all catch up with who’s setting this up and who’s going to bring in the magic! However, we are going to close the “Small Presentations” registration due to lack of interest, but this means that we will extend the time people have to showcase their artwork! So if you have something you want to show off to everyone at our expo, whether it’d be a game, a piece of art, a video, or whatever it may be, register as soon as possible! VIP Registration Reminder: VIP Registration Is Closing Soon! As a reminder, our VIP registration is closing at the end of this month, so if you want special access to the convention’s VIP-only Celestial Room and other exclusive goodies, make sure to register for your VIP pass before the end of July! We are still looking for volunteers to help us on the day of the Expo. If you are interested in this, please visit our page and register to become a volunteer! Volunteers will be expected to work a shift, and will be at liberty to enjoy the convention for the rest of the day as we rotate between the “Royal Guard” shift in the morning and the “Lunar Guard” shift in the evening! Volunteers will also receive a limited-edition t-shirt and half-price admission to the convention, among other cool perks. One last thing before we split. If you hear people going around and saying that our convention has a guest that we have not announced, chances are the person is spreading rumors and thus, should not be trusted. That said, if you want to get the latest news about our con, just go visit our website, social media pages, and these convention posts! And really, this is with everything. Just confirm your sources! Now go write a 12 page paper about friendship! That’s all for news! Make sure to check our website often for updates! Our Technical Equipment Team put together a mock up of what the stage will look like for the Summer Sun Celebration. 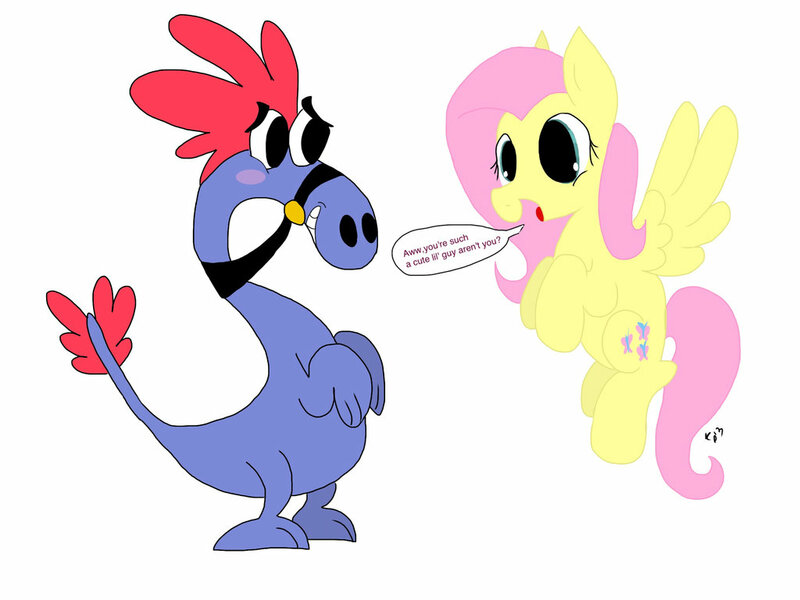 Take a look here: http://www.buckcon.org/summer-sun-sneak-preview/ This ain’t no school disco! We have full on, professional equipment to make this the best night of your life. Buy tickets for only £15 here: http://www.buckcon.org/tickets/. The Pony Music Compo; Toastbeard Now Featuring Spitfire! DerpyCon South and sci team up to bring even more music related goodness to your ears. Partnering up with DerpyCon South’s Singopation contest, the theme for this upcoming week’s Pony Music Compo is none other than… Spitfire! The Pony Music Compo, a weekly event from Toastbeard, is well known as the compo that started it all. A number of pony music legends have participated in Toastbeard in the past, and both experienced and new/aspiring musicians are encouraged to take part and submit their entries for a chance to be featured in both Toastbeard and Singopation. In case you missed the memo last time, Singopation is a contest being held by DerpyCon South where one lucky musician will have the chance to perform a Spitfire themed song of their own creation alongside special guest Anneli Heed. This marks Anneli’s very first appearance at an American convention, so you don’t want to miss this once in a lifetime opportunity to perform your song live this October at DerpyCon South! Singopation’s deadline has been extended to the end of July. Have you found your special talent and care to share it with everyone at the largest brony gathering in the world? Now is your chance at the BronyCon Masquerade! The masquerade is a multifaceted talent show where you can showcase your special talent whether it is singing, comedy, dance or whatever it is you feel is worth sharing. To take part in the BronyCon Masquerade, fill out this form. The talent show is noncompetitve, so there will be no judging or prizes–just good fun and entertainment. So come out to Baltimore, Md., this Aug. 2-4 to show the fandom what your special talent is! Our new mascot, Charity, told us she wanted to give some stuff away, so we’re going to hold a sweepstakes at BronyCon. We’re still putting together the list of goodies you can win, but we’ll definitely have a bunch of the limited edition Enterplay trading card mats. No purchase/donation necessary, just drop by the Brony Thank You Fund booth (#224) and register. Of course, if you want to donate a couple of bucks while you’re there, who are we to say no. If you want to donate merchandise to add to the sweepstakes prize pool, please drop us a line at info@bronythankyoufund.org. This spring, we launched our Friends of the Fund program, where our most generous donors get exclusive access to special opportunities. At BronyCon, our Friends will get their first treat, an exclusive reception on Friday night, with special guest Amy Keating Rogers. If you are interested in becoming a Friend of the Fund, you can join the club for as little as $250 in total donations. Check out http://www.bronythankyoufund.org/?q=node/45 for more details. After a very successful weekend at Everfree Northwest, the Derpy Hooves CalArts Animation Scholarship has crossed the 50% mark. However, that still leaves $25,000 to raise. We’re still hoping to present the big check to CalArts at Equestria LA next spring, so we need all the help we can get. If you haven’t donated lately, now would be a great time to do it! Remember that all donations are now tax deductible, and please check with your employer to see if they match donations. Several very large high tech companies are already matching donations to the Fund. The Fund is looking for someone with bookkeeping experience to become the fund treasurer. The workload is very light, currently about 2-3 hours a month, with a bit more at tax time. If you’re interested, drop us a note at info@bronythankyoufund.org.